As I told you in the previous outfit post, I had the pleasure to take a closer look at BCBG Max Azria, Herve Leger and BCBGeneration Fall preview collections. This was the reason that I came back so soon in the Big Apple (after my birthday). After I saw Herve Leger show at NYFW and missed the BCBG Max Azria show, this preview was exactly what I was looking for. Nothing compares with taking a closer look at the collections and seeing all the details. I have a full post about it soon. 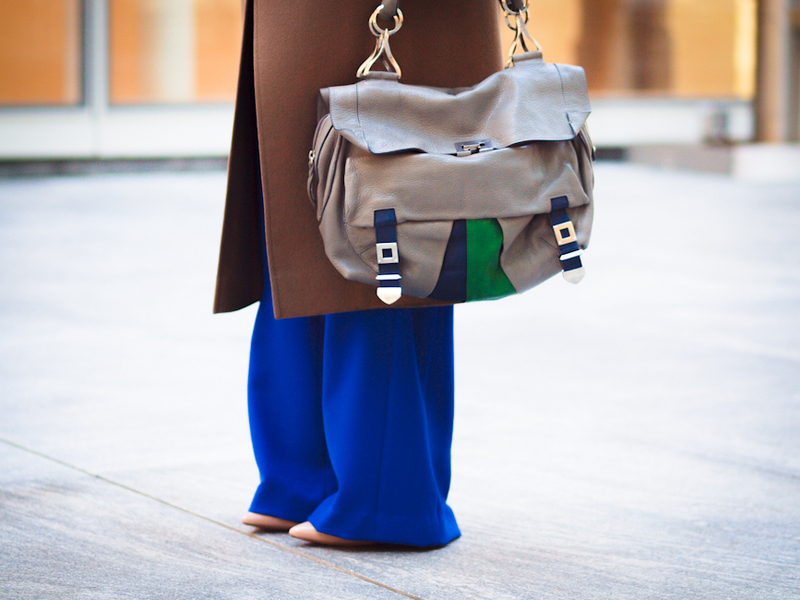 Here is what I wore that day: Joe Fresh pants, vintage camel coat, Zara floral tunic and Costume National bag. I hope you like it! wow i love it. you look stunning. wow! amazing pants! so bright!! Beautiful and classic! You look stunning in this combination. love the coat ! looks amazing on you ! I have a nice spring present for my lovely readers on my blog – Michael Kors bag Giveaway . love the coat! you always have the most stunning coats! I never would have thought to pair cobalt with such a vibrant blue, this is gorgeous! Perfection!!! I want those pants!!!! Really loving the color association and the over sized proportions!! 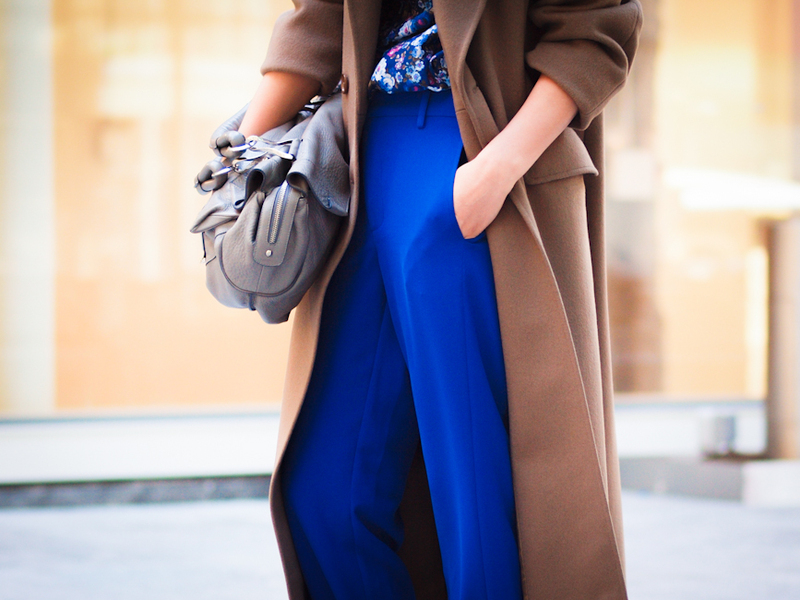 love color of your pants, and this coat is amazing! such striking look with those pants!! and i’ve been in their showroom as well.. great experience for sure! I love those trousers on you! Super flattering! Our team was looking at your website and we really love your style and were wondering if you would like to do a guest blog post for our site? We are looking for fashion savvy people like you to become a Tripanista Contributor. Email us at Tripanista@gmail.com for details! This electric-blue pants are fantastic dear veronica. It’s definitely one of the most gorgeous pieces from your vast and envy-worth wardrobe;)I absolutely love the chic fabric and design! Looks great, bright and juicy! Those pants are stunning, well all the photos are, amazing job. and that’s what I call true intellectual chic! Bravo dear! I’m loving these fabulous bright blue pants. Your hair looks super chic pulled back like that too. I have the same pants and had no idea how to wear them! !